Burning sage can apparently get rid of bad vibes in your life. Here's how. 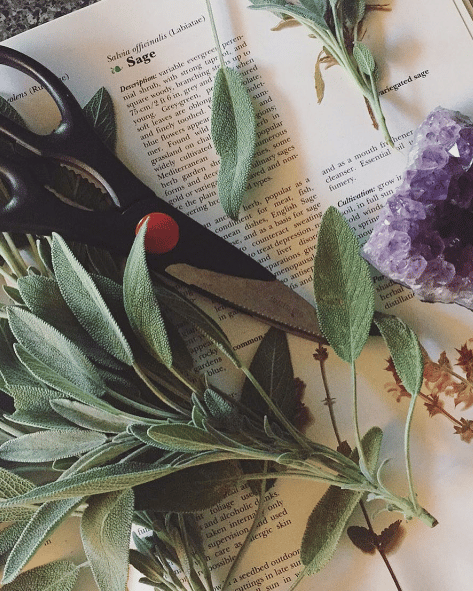 Everything you need to know about the ancient art of burning sage. Sage smudging (a.k.a. 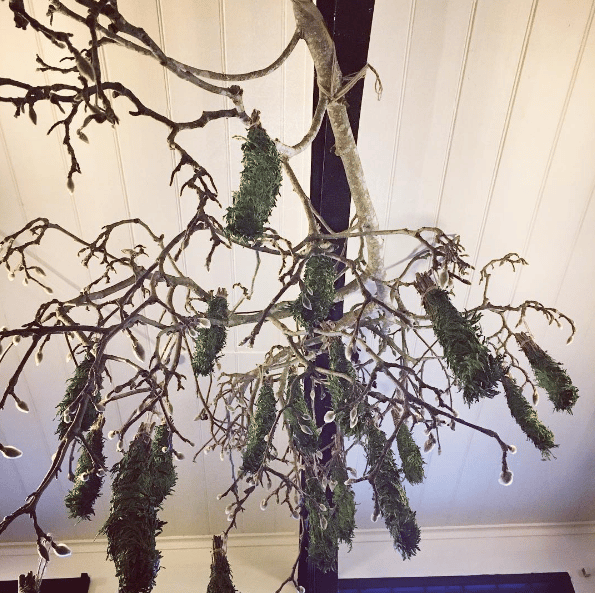 setting a little bunch of sage on fire and waving the smoking bundle around in your room) has gone from shaman ritual to new-age gimmick to chic home interiors trend. I know. It’s a helluva journey. 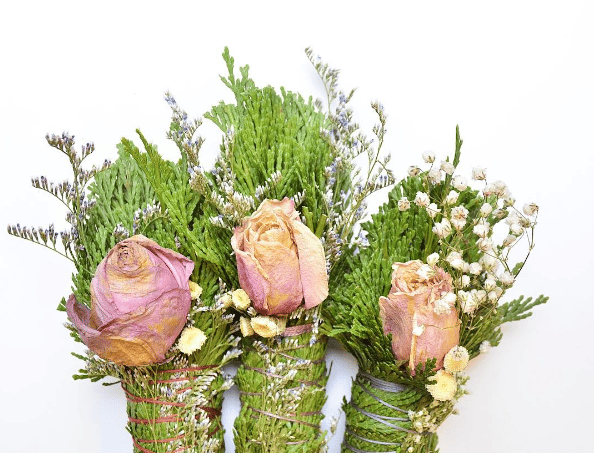 In a nutshell, smudging is a way of getting negative energy out of a space. New-age rubbish? Some think so. Soothing way to get rid of bad/weird vibes from a room? A lot of people on this team, too. It originates from traditional ceremonies such as those practiced by Native American tribes. Vogue (so you know sage burning has legitimately gone mainstream) spoke to certified “spiritual hygiene” proponent Colleen McCann, who trained with shamans in Peru. 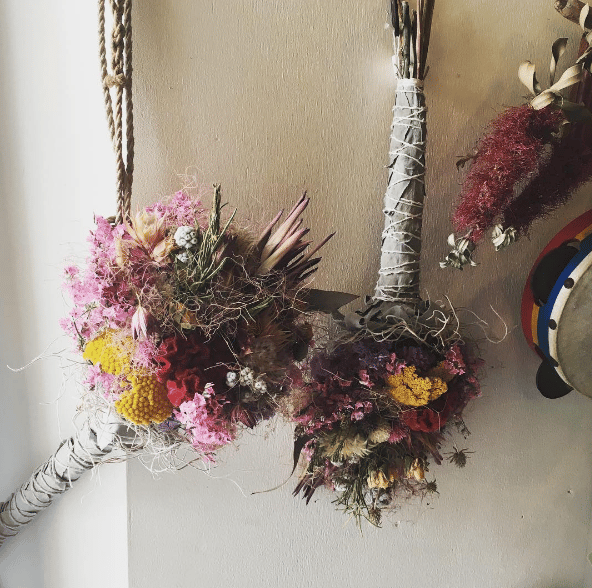 “Burning sage is one of the oldest and purest methods of cleansing a person, group of people, or space and of getting rid of unwanted spirits,” she explains. There’s also some science behind it. “Scientists have observed that sage can clear up to 94 percent of airborne bacteria in a space and disinfect the air. When sage is burned, it releases negative ions, which is linked to putting people into a positive mood. 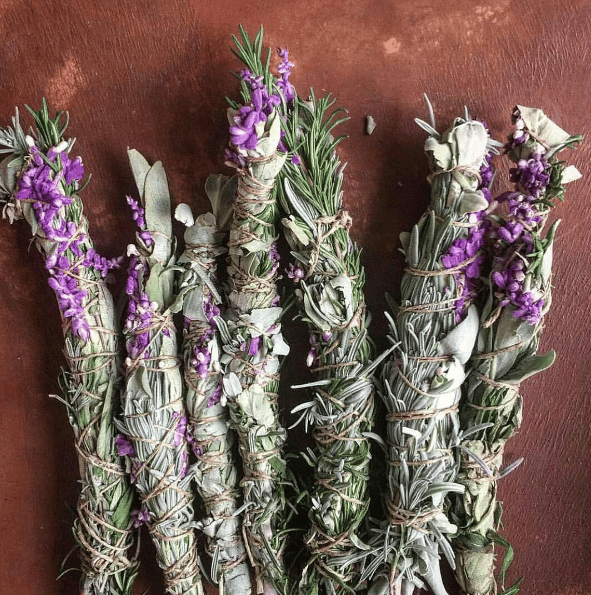 “The Latin word for sage salvia stems form the word heal,” McCann says, adding that sage burning is also associated with “wisdom, clarity, and increasing spiritual awareness”. It also smells quite nice, if you’re into that kind of thing but don’t like incense. 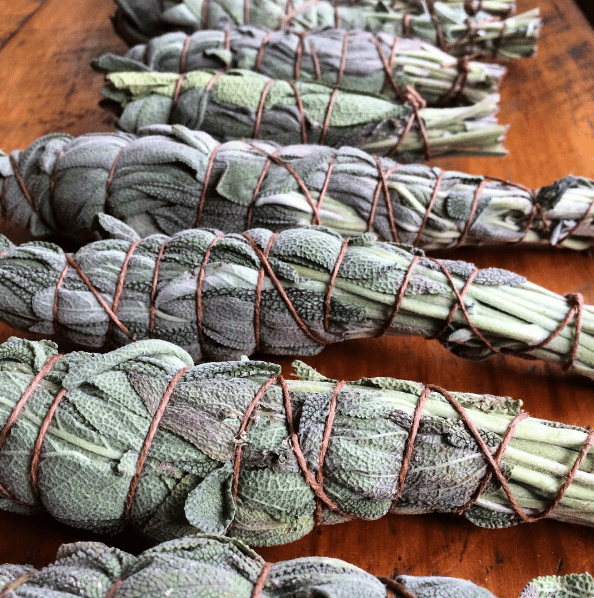 Accepted wisdom is that sage smudging is good for any fresh start: moving into a new place (or moving someone else out of it), farewelling a family member, or welcoming a new one, starting a new job or venture, or even as a simple personal reset button. Focus on corners, personal spaces, stones, and second-hand items: “Anything that holds special significance should be cleared,” reiki master Jenni Finley tells My Domaine. And yes, this means stuff belonging to your ex is a prime target. Clearing out old feelings is a great way to get rid of any negative energy—especially your own. “Think of it as emotional cobwebs,” says Finley. Precious stones apparently hold energy too, so it’s good to “cleanse” your jewelry. Move your sage bunch in circles: This is part of the “ritual” aspect, and helps you focus on the energy in the room. Both Finley and McCann place great stock in listening to your intuition while smudging, and directing your actions to wherever things feel “stagnant”. Make sure you use the “right sage”: You can’t just use the leftovers from your pumpkin gnocchi, it seems. 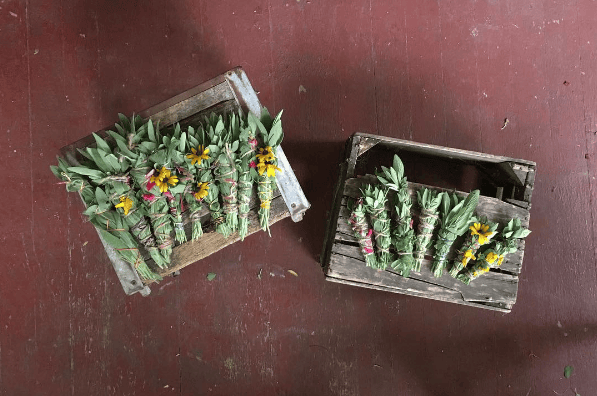 McCann recommends “California White Sage” or “White Sage Smudge Stick” as the most traditional options, and says that in the interests of ethical sourcing, you’re best to steer clear of mass-market vendors. Open some windows before you burn it: This isn’t just to stop the room filling with smoke (although that’s a good idea). The idea is that the sage smoke takes the negative energy with it, so there needs to be a place for it to escape. Otherwise you risk concentrating the bad vibes—a “rookie mistake!”, according to McCann. Prepare a container to use during the burning: So that, you know, you don’t cover your floor with sage-y ash. The traditional container is an abalone shell. Be careful: “Hold the sage at a 45-degree angle, light the sage, let it burn for about 20 seconds and then gently blow out the flame so that you see orange embers on one end. Then you can start the process of clearing your space,” McCann says. And don’t make the mistake one Condé Nast magazine apparently did, when their desire to fill their new World Trade Center office with good juju resulted in fire alarms that caused the whole team to stop work. Jewel tones, cork and three other interior trends your home needs this year.